Eachbuyer.com is a global online retail company that delivers products directly to consumers around the world. Founded in 2004, we have indeed become successful as one of the biggest top sellers on eBay and Amazon, processing over 50,000 orders each day and shipping our products to our millions of customers worldwide. Yes, that’s millions of buyers: new buyers, repeat buyers, loyal buyers, all of whom have come to trust Eachbuyer.com as a website where each buyer receives the best prices and the best service on the Internet. 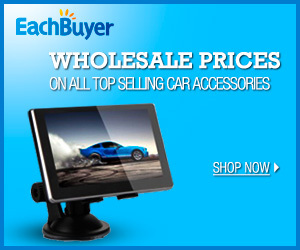 Eachbuyer.com offer our buyers, plenty of choice (currently over 100,000 products), the lowest price possible within the realm of quality standards and shipping free of charge, regardless of where you live, regardless of how many items you buy, regardless of how much you spend. Yes, offering the lowest prices and not charging for shipping does lower profits, but that’s only a problem if your business thinking is short term. At Eachbuyer.com, our thinking has always been and will always be, focused on the long term. Long term thinking to build a brand that is recognized internationally and trusted globally. Ultimately, Eachbuyer.com is about offering each buyer the perfect shopping experience based on an equally simple idea: The Lowest Price, Free Shipping. Welcome to Eachbuyer.com, we hope you enjoy your stay. When Eachbuyer started in the ecommerce industry more than 9 years ago, they had an idea about how to be successful. The idea is simple. To treat each customer – each buyer of our products as if they are the most important person in the world. In fact, each buyer is the most important person in the world, to us, because an e-business without customers, new customers, and repeat customers, loyal customers is nothing but a domain name: soon to be forgotten.